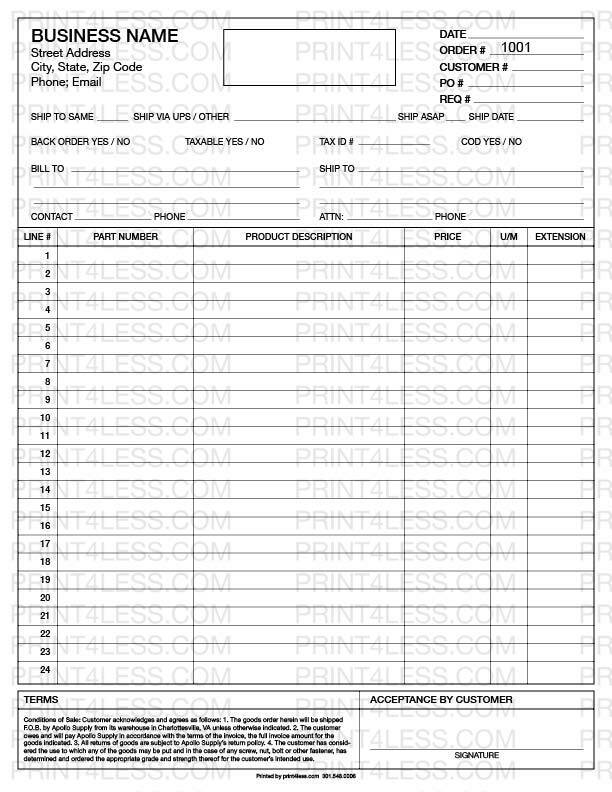 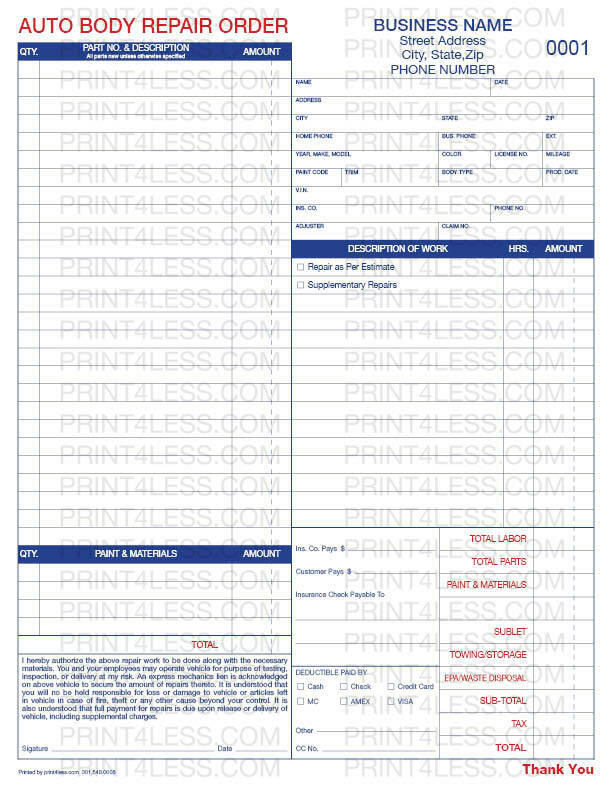 8.5" x 11", carbonless 2 or 3 parts, black or full color. 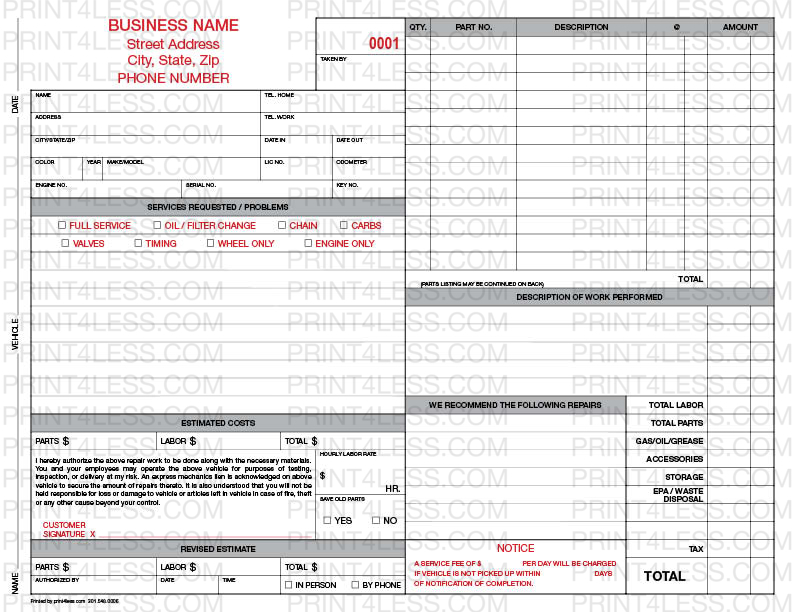 Fully customizable to your specific needs. 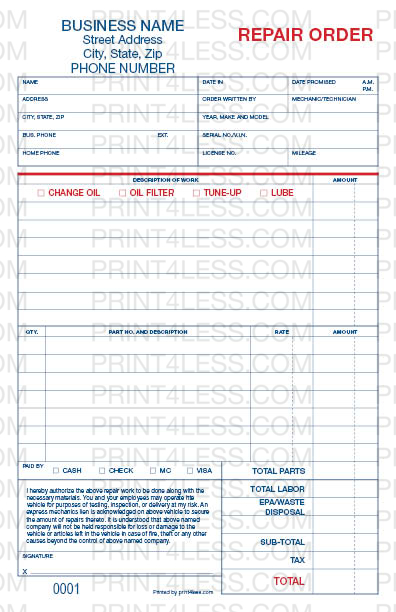 Our service order/invoice simplifies everything - work writeups, invoicing AND cost documentation!